Welcome to L.A.! Check in to Mr. C Beverly Hills and power up with breakfast before heading to LACMA, which has the contemporary exhibits parents love plus a painting room for younger artists to practice on the second floor. Check the calendar before your visit: there are also art classes offered, including special ones for teens. Tip: the La Brea tar pits are nearby if you want to peek in. 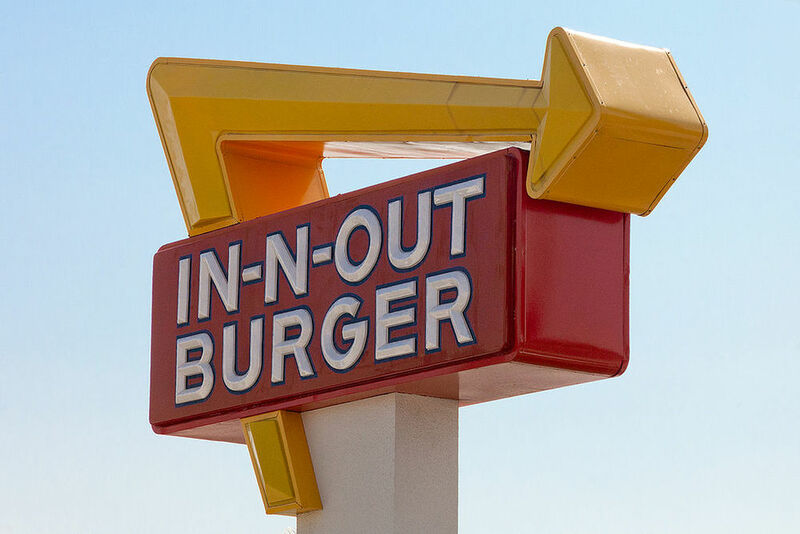 You got your culture kick, so reward everyone with lunch at an L.A. classic, In-N-Out Burger on Sunset Boulevard. You’re close to the Walk of Fame and Chinese Theater if kids want to see some of the touristy spots, or active types can work off lunch with a hike afterwards through Runyan Canyon. Have the phone charged for Instagrammable views from the top, and if traveling with a little one, be sure to bring your Solly Baby wrap (easier to wear baby than use a stroller on these paths). Time to relax. Head back to Mr. C to log some pool time. Order mini ice cream cones for the kids and a Bellini for mom and dad (they also make an alcohol free version for tots). If the weather doesn’t cooperate, there are board games in the lounge, but this is California, so sunshine is practically guaranteed. Mom can sneak off before dinner to Olive & June for a mani/pedi. Be sure to mention if there’s a bun in the oven: they’ve got all-natural products that are pregnancy safe. For dinner, head to Republique, a French bistro focusing on local produce in a building that was originally constructed by Charlie Chaplin. Today’s a beach day. Head to Santa Monica to stroll the beach and check out the famous pier (this is a great place to schedule your Flytographer shoot). A great option for swimming here is the Annenberg Community Beach House, a favorite of August designer Jenna Jackson. There’s a pool and a scene that’s chic enough for the parents but totally kid-friendly. The hardest part about eating in Santa Monica is choosing between all the great places. The farmer’s market on Sundays is great for picking up take-away for a beach picnic, and kids love the rice balls at Sunny Blue (fun finger food!). If you want to head farther south into Venice, Superba Snackbar is a hip bistro or hit Gjelina for pizzas. You can spend the rest of the afternoon people watching along the beach or shopping on Abbot Kinney (GQ has called this the coolest block in America). If your Minion fans are dying for the Hollywood experience, you can also spend the afternoon at Universal Studios—but plan ahead to get the best behind-the-scenes tours (VIP tickets sell out) and to find the right rides. If exhausted by your busy day, stay put at the Restaurant by Mr. C, which has a kids’ menu and fabulous no-fuss Italian dishes (ignore the paleo trend and dig into the pastas). Great for the grown-ups but equally fab for the kids.